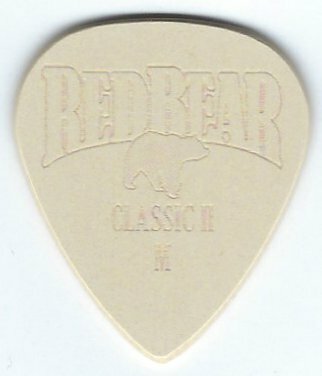 Red Bear Trading has brought back our line of Flat Picks in the Tuff-Tone material which are a less expensive alternative to our standard pick material. 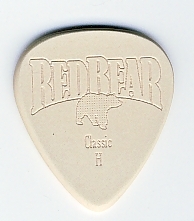 Tuff-Tones deliver great tone and have the same comfortable feel as or regular picks while possessing unbeatable strength and warp-resistance. They wear well, and are basically worry-free. Tuff-Tones require absolutely no special care. Keep them in your pocket, wash them, toss them around - nothing hurts them.